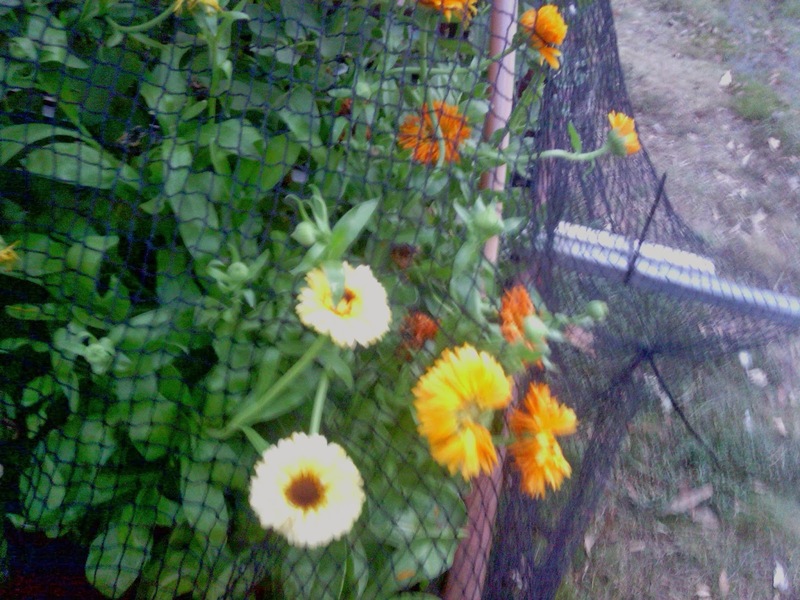 When I cleared the trailer bed for square foot garden planting, I harvested my calendula flowers. Calendula in the vegetable beds helps to reduce insect attacks (and looks very pretty). The buttery yellow petals were stripped from the flower heads, packed into a glass jar and covered with sunflower oil. This very pretty jar was placed on and eastern facing window sill (well, on a shelf below the window) and shaken occasionally. At this stage it looked like a natural themed lava lamp. 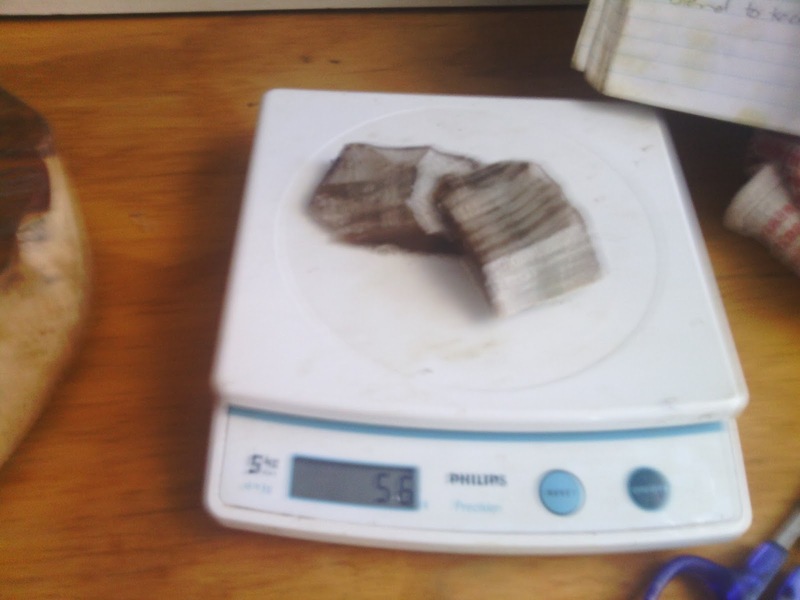 After four weeks the infusion was ready to use. 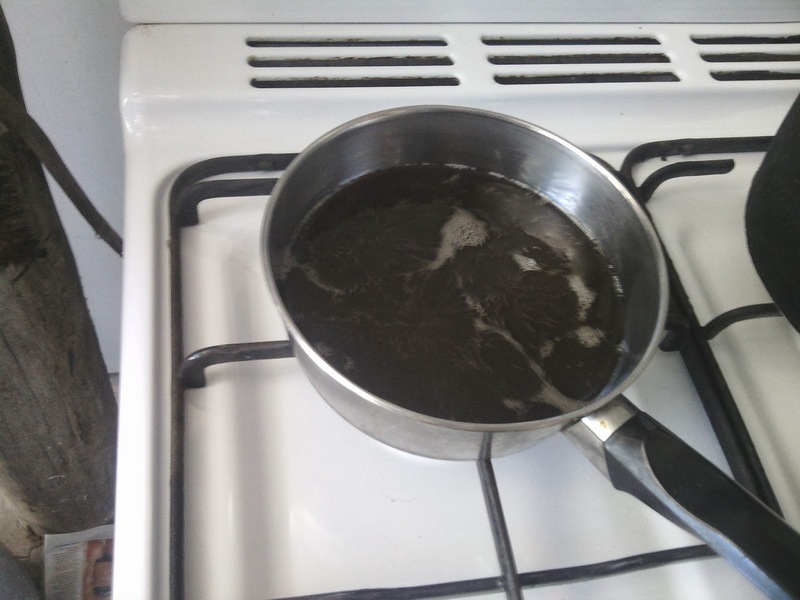 Melt beeswax and calendula infusion in a small double saucepan, do not exceed 50 degrees C. Remove from heat and add benzoin tincture. Pour into dark glass jars while hot and leave to cool. Clean jars ready to be filled. The ointment on the stove. 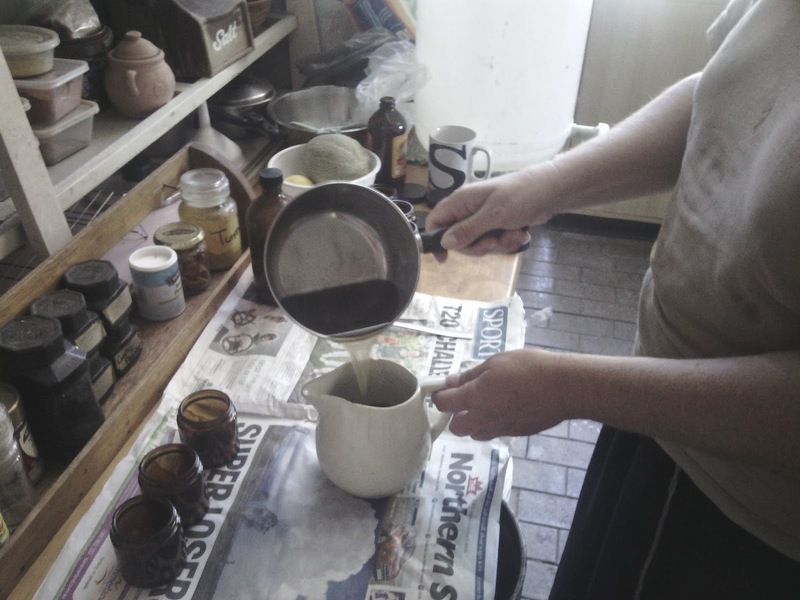 I know I said double saucepan, but I couldn’t find mine so I used a small copper bottomed pot on a really low setting. 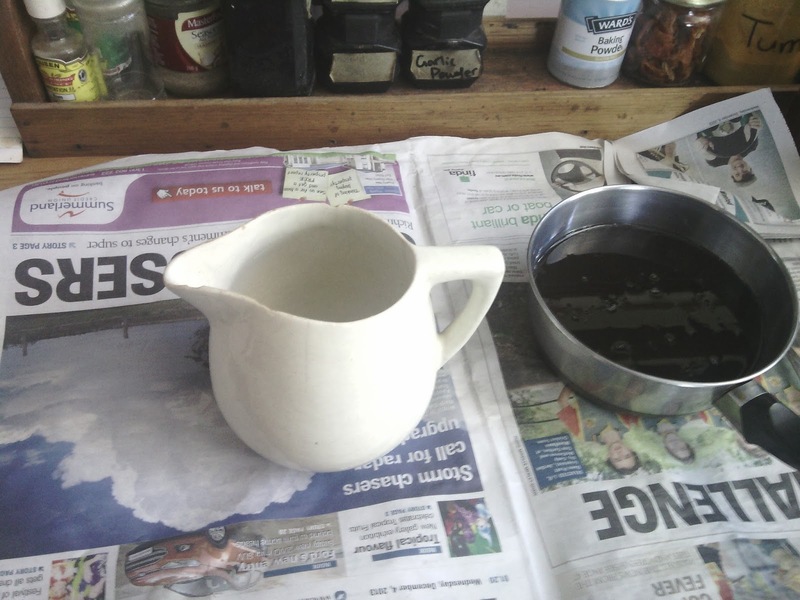 Pouring the warm ointment into a jug makes it much easier to pour into little jars. Now I screw the cap on and wait for them to cool and solidify. The ointment needs to be stored in a dark, cool place and will last for six months or so. 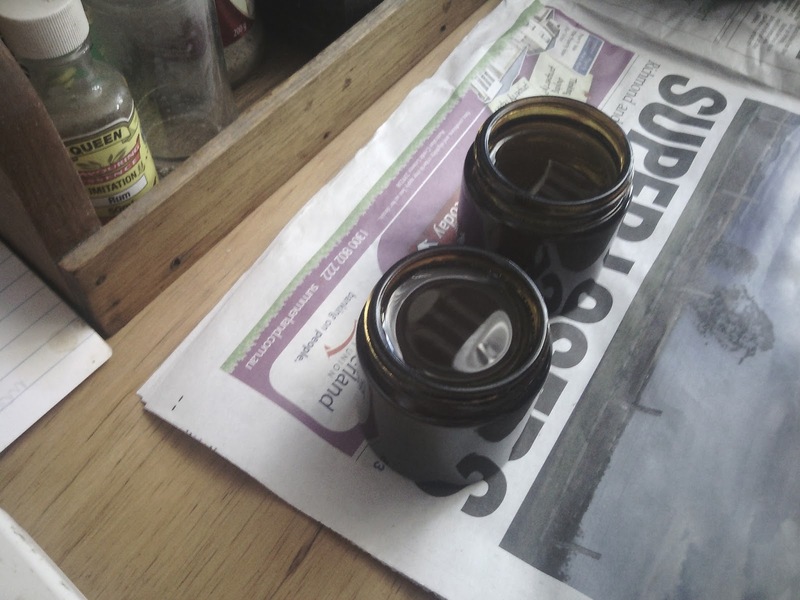 Other herbal ointments can be made this way too; I have made comfrey, chickweed, chilli (herbal deep heat), golden seal and echinacea. The only ointment I would not make this way is aloe vera; it rots very easily and is best used fresh off the plant (although, I have used it in soap making). 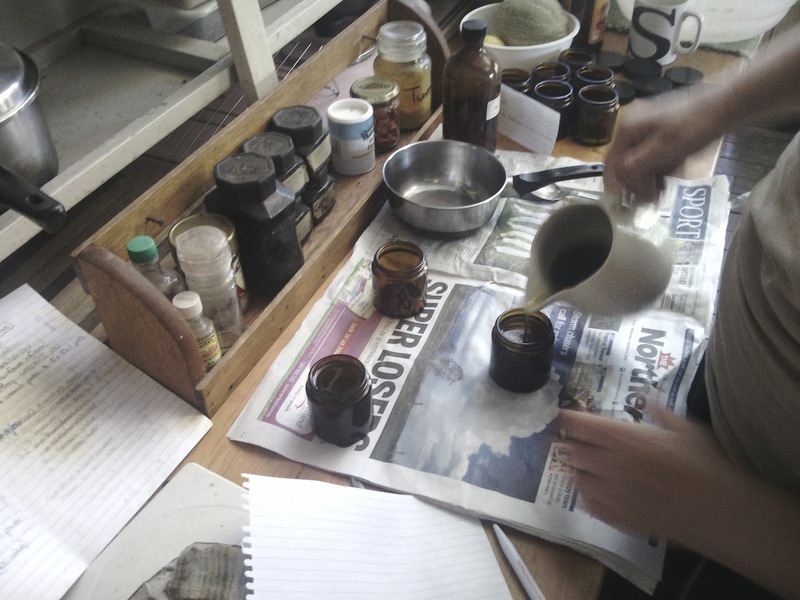 Have a go at making your own herbal ointments; they are effective and safe as well as a lot of fun to make. I will try it. I have calendal-infused oil but haven't yet worked out what to do with it. My mother had a whole bed of calendula flowers in her garden so I made the infused oil late last year, it's just been sitting in the cupboard looking pretty. And it is very pretty. I think you could use flower infusions as decoration; they have a certain appeal. 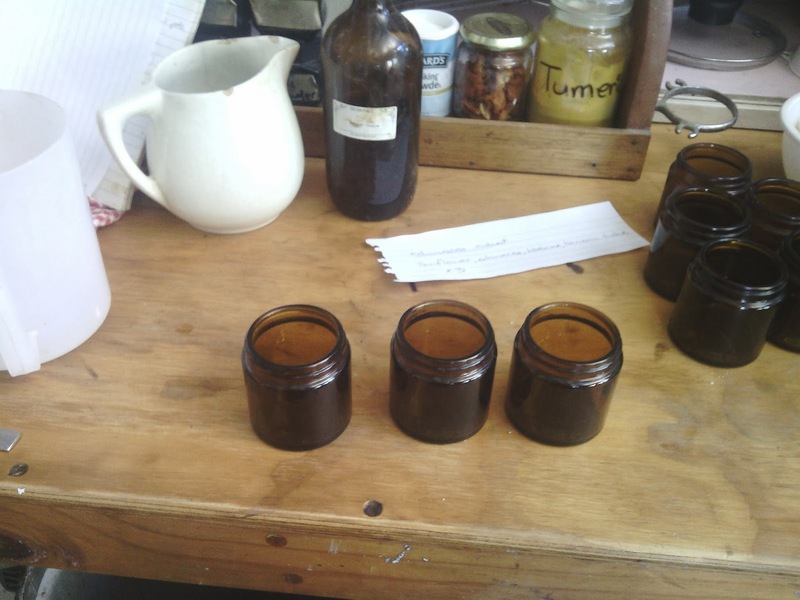 You will find it easy to make ointments (and to use them). When my kids were little the calendula ointment (and raw aloe) were our answer to 'band-aid syndrome' (when crying and apparent imminent death can only be staved off by the rapid application of a band-aid) which is endemic in small children (and husbands to some extent). Remember not to put oil based ointments on deep cuts or puncture wounds though (creates anaerobic conditions in the wound). Have fun making ointments.